Not to be confused with Kane (Dutch band) or Kane (American band). Battle is a small town and civil parish in the local government district of Rother in East Sussex, England. It lies 55 miles (89 km) south-south-east of London, 32 miles (51 km) east of Brighton and 24 miles (39 km) east of Lewes. Also nearby are Hastings to the south-east and Bexhill-on-Sea to the south. It was the site of the Battle of Hastings, where William, Duke of Normandy, defeated King Harold II to become William I in 1066. It lies in the designated High Weald Area of Outstanding Natural Beauty. The parish population was 6,048 according to the 2001 census, increasing to 6,673 with the 2011 Census. It has two senior schools: Claverham Community College and Battle Abbey. Thomas Oliver Chaplin, is an English singer-songwriter, musician and composer, best known as the lead singer of the British pop rock band Keane. Timothy James Rice-Oxley, is an English musician, producer, singer and multi-instrumentalist, best known for being the keyboardist, singer and songwriter of the British pop rock band Keane. In 2010, Rice-Oxley formed a side-project, Mt. Desolation, with his Keane bandmate Jesse Quin. Keane achieved mainstream, international success with the release of their debut album, Hopes and Fears , in 2004. Topping the UK charts, the album won the 2005 Brit Award for Best British Album and was the second best-selling British album of 2004. Their second album, Under the Iron Sea , released in 2006, topped the UK album charts and debuted at number four on the US Billboard 200. Their third album, Perfect Symmetry , was released in October 2008. Hopes and Fears is the debut studio album by the English alternative rock band Keane. It was released on 10 May 2004 in the United Kingdom and topped the UK Albums Chart upon release. It was the second best-selling British album of 2004, behind the Scissor Sisters' self-titled debut album, and has since been certified 9× Platinum by the BPI. The album returned to the top of the charts after winning a Brit Award for Best Album in February 2005. In May 2008, both Hopes and Fears (number 13) and Under the Iron Sea (number 8) were voted by readers of Q magazine as among the best British albums ever, with Keane, The Beatles, Oasis and Radiohead the only artists having two albums in the top 20. In 2009, Hopes and Fears was listed as the ninth best-selling album of the 2000s decade in the UK. Their EP, Night Train , was released in May 2010. Their fourth studio album, Strangeland , was released in May 2012, and again peaked at number one on the UK Albums Chart. Radiohead are an English rock band formed in Abingdon-on-Thames in 1985. The band consists of Thom Yorke, brothers Jonny Greenwood and Colin Greenwood (bass), Ed O'Brien and Philip Selway. They have worked with producer Nigel Godrich and cover artist Stanley Donwood since 1994. On 17 January 2019, The Sun newspaper revealed that after six years on hiatus, the band was returning with new material. Robertsbridge is a village in the civil parish of Salehurst and Robertsbridge, and the Rother district of East Sussex, England. It is approximately 10 miles (16 km) north of Hastings and 13 miles (21 km) south-east of Royal Tunbridge Wells. The River Rother passes through the village. In 1995, while studying at University College London for a degree in classics, Rice-Oxley formed a rock band with Scott, and invited Hughes to play drums. The band, named "Lotus Eaters", started as a cover band, playing songs by the members' favourite bands, including U2, Oasis, and The Beatles, and rehearsing at home. Chaplin departed for South Africa in the summer of 1997 to work as a volunteer during his gap year. Chaplin's early experiences there would later be reflected in the band's position for the Make Poverty History campaign. Returning a year later, in July 1998, following a meeting with friend David Lloyd Seaman, Hughes' first words when the band picked up Chaplin at the airport were, "we've got a gig in ten days." With original material, Keane made their debut live appearance at the "Hope & Anchor" pub on 13 July 1998. In this same year, Chaplin went to Edinburgh University to study for a degree in art history. However, he later quit his degree and moved to London in order to pursue a full-time musical career with his friends. After their debut performance, the band went touring London's pub gig circuit throughout 1998 and 1999. The band released "This Is the Last Time" on Fierce Panda, in October 2003, as the final release on that label. With the release of their first major single, Keane began to achieve recognition in the United Kingdom and the United States, where "This Is the Last Time" was released and remained as the only single sold there until "Crystal Ball" in late 2006. The band won two awards at the 2005 BRIT Awards in February; Best British album for Hopes and Fears and the British breakthrough act award, as voted for by listeners of BBC Radio 1, Keane won the award in front of bands like Muse or Franz Ferdinand. [ citation needed ] Three months after, Rice-Oxley received the Ivor Novello award for songwriter of the year. In April 2005, in the middle of the Hopes and Fears Tour , the band began recording their second album, Under the Iron Sea with producer Andy Green, who also worked with them previously on Hopes and Fears. The band later recruited Mark "Spike" Stent for mixing duties. Recording took place in Helioscentric Studios, Rye, East Sussex, where Hopes and Fears was recorded. Additional recording was done at The Magic Shop Studios in New York. The band revealed the title of the album on 14 March 2006 by posting a handwritten note on their official website. The album's release was preceded by the release of "Atlantic", a download-only music video and the lead single "Is It Any Wonder? ", which reached number three on the UK Singles Chart. The song was nominated for a Grammy Award for Best Pop Performance by a Duo or Group with Vocals in 2007. The album had a worldwide release in June 2006 and was at number 1 in the UK Albums Chart for the first two weeks of its release. As of 22 May 2007 [update] , it had sold more than 2,200,000 copies. The third single from the album was "Crystal Ball", which was released on 21 August 2006, and reached number 20 in the UK Singles Chart. The fourth single from the album was "Nothing in My Way", released on 30 October 2006, which received particular success on Mexican commercial radio, charting on Top 3 on 13 January 2007 and staying a month on that chart. The band released the single "The Night Sky" in aid of the charity War Child. The song is written from the perspective of a child about the war-torn devastation around them, and became available via War Child's official website on 22 October 2007 before going on general release on 29 October 2007. Jesse Quin played with Keane since the small tour of The Night Sky. Even before the release of the album (in May 2006), Keane had started their second world tour that would promote the album. However, because of the extensive touring, on 22 August 2006, Chaplin announced he had admitted himself to a clinic for drinking and drug problems. This initially resulted in the cancellation of three gigs and postponement of their September US tour. The entire North American tour was later cancelled outright to allow continued treatment. As a result, the upcoming UK and European tours – scheduled for October and November 2006 – were considered to be liable for possible postponement depending on Chaplin's treatment. Chaplin then left the Priory Clinic in London on 6 October, although he continued to receive treatment. The tour reached for the first time South American countries (Argentina, Chile and Brazil) and saw the band's third visit to Mexico in late April with four dates, playing at the downtown zócalo in Mexico City, as well their first visit to Monterrey and Guadalajara. On 7 July 2007, Keane played at the UK leg of Live Earth at Wembley Stadium, part of a series of gigs similar to Live 8, to highlight the threat of global warming. They performed "Somewhere Only We Know", "Is It Any Wonder?" and "Bedshaped". The Under the Iron Sea tour was brought to an end with performances in Oporto, Portugal, and at the Natural Music Festival in El Ejido, Spain, on 3 August and 4 respectively. In early October, Concert Live announced they were releasing a limited edition 9-CD set of every Keane live performance in the UK during October 2006 under the name Live 06 . In a March 2007 video interview, Chaplin and Hughes spoke of wanting to take a more "organic" approach on album three, but played down suggestions about the use of guitars, referring to them as "a fun part of the live set" at present; however, the cover of "She Sells Sanctuary", became the first song recorded since "The Happy Soldier" (2001) to feature the instrument. Photographic updates to the Keane website also implied the use of guitars in the album's recording sessions. Jesse Quin joined the band since this album as permanent studio and live member. He plays the bass, percussion, guitar, synths and backing vocals. On 25 August 2008, Keane appeared as studio guests on BBC 6 Music with Steve Lamacq where three of the new songs from Perfect Symmetry were played for the first time: "Spiralling", "The Lovers Are Losing", and "Better Than This". In November of the same year, they started their third world tour, the Perfect Symmetry World Tour. On 2 April 2009, Keane became the first band ever to broadcast a live show in 3D. It was filmed at Abbey Road, the site of the world's first satellite broadcast (by The Beatles). Keane fans were prompted to buy 3D glasses along with the new 7" single, "Better Than This", or also to hand-make their own glasses. The show is available to watch on Keane's official site in high definition. On 10 May 2010, Keane released a new EP entitled Night Train which, on 16 May became their fourth number 1 album in the UK. Night Train was recorded during the Perfect Symmetry World Tour. The Night Train EP could be considered a studio album, because it has 8 new songs. The band first named this record as a Mini-album, then that changed to an EP. In an interview, Tim Rice-Oxley said that Night Train is "pretty much an album". The songs "Stop for a Minute" and "Looking Back" feature Somali Canadian rapper K'naan. The EP also includes a cover of the song "You've Got to Help Yourself" by Yellow Magic Orchestra, featuring vocals by Japanese funk MC Tigarah. The song "Your Love" features Keane's keyboardist, Tim Rice-Oxley, having lead vocals. The song "My Shadow" was featured in the Season 6 Grey's Anatomy episode "Shiny Happy People". Supporting the Night Train EP, the band began on the Night Train Tour. which started with a show in Brixton, London at The Fridge on 12 May 2010. It then took the band through a series of Forest Shows, The tour includes a homecoming show at the Bedgebury Pinetum, just outside the band’s hometown of Battle. Also a Festival appearances in Europe followed with a tour of the USA/Canada, concluding with an appearance at the Mile High Festival in Denver. After the end of Mt. Desolation Tour (alternative project by Tim and Jesse), Tim Rice-Oxley and Jesse Quin joined with the other two members of the band to work on the pre-production of Keane's fourth studio album, Strangeland . It was announced on 3 February 2011 on the band's official website that Quin had become an official member of the band. He has worked with Keane since 2007. Keane played a concert in Beijing, China on 13 April 2011 at the invitation of the fashion company Burberry. The band also performed an acoustic session at the Wall of China. The band finished recording their fourth studio album on 12 January 2012 and finished mixing the record on 10 February. The album was recorded at Tim Rice-Oxley's Sea Fog Studios, in Polegate, East Sussex. The Strangeland Tour started at De La Warr Pavilion in Bexhill-on-Sea, East Sussex on Friday, 9 March 2012. Due to the high demand, a second show was added and took place on 10 March 2012. Both shows sold out in minutes. The Hoodlums were the support act. More shows in Europe and UK were announced due to demand. The second single, "Disconnected", was released on 20 April 2012 in Germany, Switzerland and Austria,  with the official worldwide release on 8 October 2012. The third single, "Sovereign Light Café", was released on 23 July 2012. The video was filmed in Bexhill-on-Sea in Sussex, England, and includes shots of the café itself. The band was on an extensive tour to promote their "Strangeland" album, called Strangeland Tour and have visited Europe, the American continent and many parts of Asia. Towards the end of 2018, Keane posted a series of cryptic images onto their various social media accounts, hinting that the quartet were in the studio working on new material. On 17 January 2019, an article from The Sun newspaper revealed that the band are planning "to make a comeback after six years away" and that "A source close to the rockers has revealed the band is ready to work together again after 'putting their differences to one side'". On 6 February, Keane posted an new image of them together on their various social media accounts. This was followed by several announcements on their Instagram and Facebook sites of various festivals in which the band will perform at, including (in order of announced): "Cornbury Music Festival" (6 July 2019), "4ever Valencia Fest" in Spain (21 July 2019), "MEO Marés Vivas" festival in Portugal (19 July 2019), "Noches del Boánico" festival in Madrid (20 July 2019) and "Hello Festival" in The Netherlands (June). On 15 March 2019, Keane performed "Somewhere Only We Know" on Comic Relief's Red Nose Day on BBC One with London Contemporary Voices. In November of 2004, Keane collaborated with electronic DJ Faultline on a cover of the Elton John song "Goodbye Yellow Brick Road". Two years later, Rice-Oxley collaborated with Gwen Stefani as a co-writer of the song "Early Winter", released later in 2007 as a single, from her album, The Sweet Escape , as well as two more tracks. Stefani had been wishing to work with the band since 2005 and Rice-Oxley responded by saying "we might give it a go". Tom Chaplin collaborated with Rocco Deluca and the Burden on the song "Mercy". The band has also collaborated with Somali-Canadian rapper K'naan and Japanese Baile Funk singer Tigarah on their EP Night Train . In late 2009, Rice-Oxley collaborated with the Australian singer Kylie Minogue as co-writer of the song "Everything Is Beautiful", for Minogue's eleventh studio album "Aphrodite", released in June 2010. The band also collaborated with dance artist Chicane on a remix of their song "Bend & Break", renamed "Wake Up". It was featured on the artist's 2008 best-of compilation. In 2012, Tom Chaplin collaborated with the Dutch singer Laura Jansen on the song "Same Heart" for a Dutch charity radio program me. The track was later featured on Jansen's second studio album "Elba". In 2017, a new version of Tom Chaplin's solo track "Solid Gold", now featuring alternative pop singer JONES, was released as a single. Keane usually harbors an ample, reverberated, melodic, slow- to mid-tempo fully orchestrated sound, somehow reminiscent of Elton John's early and middle career, while their most plangent and introspective songs have brought comparisons to the likes of Suede and Jeff Buckley. While guitars have been (minimally) present even in their early work, their appearance in the final mix has always been very slight, and even today that Chaplin has stepped up as an almost full-time guitarist in the band, that instrument is never featured as prominently as to be more than barely noticed. For this matter, they have been dubbed as "the band with no guitars", thanks to their heavily piano-based sound. By using delay and distortion effects on their pianos and similar keyboards, they often create sounds that aren't immediately recognisable as piano. Rice-Oxley said during an interview in Los Angeles that they tend to think piano-related music is boring and what they really wanted to do was try something different. He referred to the piano as an odd instrument to form part of a rock band instrumentation, comparing it to The Beatles' set of instruments. Rice-Oxley's distortion piano has been key to most of Keane's multifaceted style and most definitely their most recognizable asset. Tom Chaplin's vocal style is measured and elegantly delivered; he uses no grit and doesn't drive his voice when the music ramps up, stepping up in volume rather than aggression as most other rock singers are prone to do. Therefore, Keane's signature sound is a gentle, refined but full-bodied brand of romantic pop-rock which does not crunch or overdrive itself, but manages to soar using orchestration and other arrangement means. Lyricwise, during their early years most songs were about love or broken relationships (most notably "She Has No Time" and "On a Day Like Today"). However, other themes – including the relationship between Rice-Oxley and Chaplin – have emerged in more recent compositions. Other themes have been explored; for example, "Is It Any Wonder?" and "A Bad Dream" are both about war. More recent themes have included the impact of being a celebrity in "Better Than This" and "Clear Skies" and criticism of religious violence in "Perfect Symmetry". Under the Iron Sea is the second studio album by the English rock band Keane, released on 12 June 2006. During its first week on sale in the UK, the album went to #1, selling 222,297 copies according to figures from the Official Chart Company. In the United States, the album went to #4 on the Billboard 200, selling 75,000 copies in its first week there. Since 22 January 2006, the album has sold over 3,000,000 copies worldwide. "Bedshaped" is a song by English rock band Keane, released as the third single from Hopes and Fears. It sold about 22,000 copies in its first week of release; it became their third consecutive top ten hit on the British charts, after the release of "Somewhere Only We Know" and "Everybody's Changing". "Bedshaped" charted at number 10 in the UK and also became a commercial success in Belgium, Denmark and the Netherlands. "This Is the Last Time" is a song performed and composed by British rock band Keane, released on 13 October 2003 as the fourth commercial single from their debut album Hopes and Fears . It was first released with Fierce Panda Records and later in 2004 as a different version with Island Records. It was released as track two of the international version, but track nine on the British version. Although the song was one of the biggest hits of 2004, the single only reached number 18 in the UK charts, considerably lower than previous singles by the band. 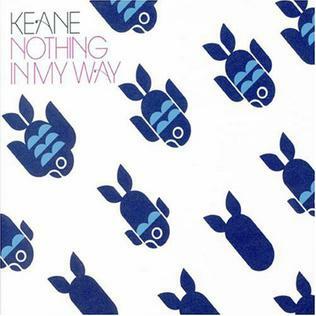 "Nothing in My Way" is a song performed and composed by English alternative rock band Keane for their second studio album Under the Iron Sea (2006). The song was also released 30 October 2006 as the third commercial and fourth overall single from that album in the United Kingdom. After the French pop rock band Bubblies, the single's release is notable as being the first ever commercial music release in USB format, a special edition limited to 1,500 copies. "Bend and Break" is a song performed and composed by English rock band Keane, released as the fifth and final single from their debut album Hopes and Fears. This single was released only in some European countries such as Germany and Austria, similarly to their 2007 single "Try Again". However "Bend and Break" was still heard on some American radio stations. The single features "Bend and Break", "On a Day Like Today" and a live version of "Allemande", as well as the "Bend and Break" live videoclip. "Bend and Break" is drummer Richard Hughes' favourite Keane song. This was also the last single that used the typeface "Cochin", the one used in the Hopes and Fears era. "Atlantic" is a song performed and composed by English alternative rock band Keane, released as the first single from their second studio album Under the Iron Sea, firstly as a download only music video and later as a 7" vinyl limited edition. The song was premiered at a secret gig in London on 5 April 2006. "Everybody's Changing" is a song performed by English alternative rock band Keane. It was released as the second single from their debut studio album, Hopes and Fears (2004). After a single release on Fierce Panda in May 2003, which peaked at number 122 in the UK Singles Chart, it was re-released on Island on 3 May 2004 and reached number 4. It is also used in the TV series, In Plain Sight and can also be heard in the final moments of One Tree Hill episode "Truth Doesn't Make A Noise" and Scrubs episode "My Day at the Races". "Crystal Ball" is a song performed and composed by English rock band Keane, and featured on their second studio album, Under the Iron Sea. The song was released on 21 August 2006 as the third single from the United Kingdom album version. "Crystal Ball" was also released on 18 August 2006 in the Netherlands and peaked at #20 in both the Dutch Singles Chart and the UK Singles Chart. "A Bad Dream", often mistitled as "Bad Dream", is a song by English rock band Keane appearing as the fifth track on their second album, Under the Iron Sea. It was released on 22 January 2007 as the fifth and final single from the album. The song peaked at No. 23 in the UK Singles Chart, becoming the band's first single to miss the top 20. "Try Again" is a song performed and composed by English alternative rock band Keane that appears as the tenth track on their second album, Under the Iron Sea. The song was released as the sixth single off the album, and currently is only being sold in Germany. This is also Keane's first single with three B-sides, all live performances in Cologne, Germany. "Is It Any Wonder?" is a song performed and composed by English alternative rock band Keane, released as the second single from their second studio album, Under the Iron Sea. The song is also the first Keane single to be sold in Mexico and other Latin American countries. "Spiralling" is a song released by Keane, on 4 August 2008 at 10:59 (CEST) as the first single of their third album, Perfect Symmetry. It was released in a similar fashion to that of "Atlantic" as a digital download only single; however, it was available as a free download from Keanemusic.com for the first week of release. On 31 July, the message "When we fall in love, we're just falling in love with ourselves" appeared on the band's website in reference to the track. On 11 August 2008, the song was released as an official digital download on various online music stores. The song was said to be inspired by wrestling legend Ric Flair who Tom Chaplin described as a personal hero for his try hard mentality in the ring. His trademark "woo" inspired the song. Frontman Tom Chaplin described the song as "a train of thought about human endeavour, built on an outrageous groove". Perfect Symmetry is the third studio album by English rock band Keane, released on 13 October 2008 in the United Kingdom. According to international Island Records manager, Jon Turner, "the general international feel is of excitement and 'Spiralling' is a favourite track of the US company." The Retrospective EPs are a series of digital EPs by English rock band Keane, with the first being released on 5 December 2008 as the Everybody's Changing EP or Retrospective EP1. The cover art features the font Cochin for the first time since the release of "Bend and Break" in 2005. The Perfect Symmetry World Tour was the third tour given by the British Band Keane, following the launch of the album Perfect Symmetry. Strangeland is the fourth studio album by English alternative rock band Keane, released in May 2012 through Island Records. It is their first full-length album since Perfect Symmetry (2008), as well as the first to feature bassist Jesse Quin as an official member. "Silenced by the Night" is a song by English rock band Keane from their fourth studio album Strangeland. It was released worldwide as the album's lead single on 13 March 2012, except for the United Kingdom where it was released on 15 April 2012. The song was written by Tim Rice-Oxley, Tom Chaplin, Richard Hughes, Jesse Quin and produced by Dan Grech-Marguerat. "Higher than the Sun" is a song by English alternative rock band Keane, released on 28 September 2013 as the first single from their first compilation album, The Best of Keane. The song was recorded during the recording sessions for the band's fourth studio album, Strangeland, which was released in May 2012. ↑ "Keane: 'We've always been an alternative band' - NME". Nme.com. 15 May 2012. Retrieved 5 October 2018. ↑ "AllMusic - Keane". "Alternative pop group[...]"
↑ Andy Bennett, Jon Stratton (eds. ), Britpop and the English Music Tradition, Ashgate Publishing, p. 164. ↑ "The BRITs 2005". 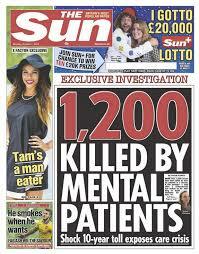 Brits.co.uk. Retrieved 27 September 2014. ↑ "Keane official site: Biography". Archived from the original on 4 August 2008. Retrieved 5 August 2008. ↑ "James Blunt records the biggest selling album of decade". Press Office. BBC. 29 December 2009. Retrieved 27 July 2015. ↑ Youngs, Ian (9 January 2004). "Sound of 2004 winners: Keane". Bbc.co.uk. Retrieved 7 August 2008. ↑ "Keane explain their new sound". NME.com. 28 March 2006. Retrieved 19 August 2006. 1 2 3 4 Odell, Michael (1 May 2004). "The Shore Thing (Annotated)". Q magazine . pp. 48–52. Archived from the original on 13 October 2006. Retrieved 24 May 2007. ↑ "Night Train EP Review". BBC Music. Retrieved 14 May 2010. 1 2 Strangers Keane DVD autobiography. ↑ "Vinehall School History". Archived from the original on 18 June 2007. Retrieved 22 July 2007. 1 2 3 4 5 Craic, Seamus (31 January 2006). "Keane: The Band". Artnik. ISBN 1-903906-64-4. ↑ "Keanemusic – Tom Chaplin's blog, 28.06.07". Archived from the original on 12 June 2006. Retrieved 7 July 2007. ↑ Chapman, Tegan (13 January 2005). "Keane man on success, songs and Steve Lamacq". Greatreporter.com. ↑ "Keaneshaped on "Call Me What You Like"" . Retrieved 16 September 2006. 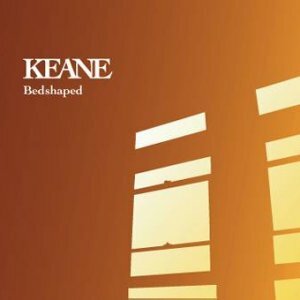 ↑ "Keaneshaped – Discography" . Retrieved 12 September 2006. ↑ Bec. (25 May 2001). "Keane : "Call Me What You Like" EP Review". eFestivals.com.uk. Retrieved 12 September 2006. 1 2 "Keaneshaped on "Wolf at the Door"" . Retrieved 4 August 2006. ↑ "[14/11/01] entry". Keane.at. Archived from the original on 13 October 2006. Retrieved 19 September 2006. ↑ Cashmere, Tim. "Keane Undercover Music Interviews". Archived from the original on 21 August 2006. Retrieved 19 August 2006. ↑ "Discography – Everybody's Changing (Fierce Panda)". Keaneshaped.co. Retrieved 4 August 2006. 1 2 3 "Interview With Ferdy Unger-Hamilton". HitQuarters. 21 March 2005. Retrieved 18 April 2011. ↑ Hoyle, Wayne (14 April 2004). "Keane Interview" . Retrieved 4 November 2006. ↑ "Sound of 2004 music poll revealed". BBC News. 9 January 2004. Retrieved 10 September 2006. ↑ "Keaneshaped on Hopes and Fears" . Retrieved 25 May 2007. ↑ "Discography – The Sun Ain't Gonna Shine Anymore". Keaneshaped.co.uk. Retrieved 4 August 2006. ↑ Associated Press (8 February 2006). "Complete list of Grammy Award nominations (48th)". USA Today . Retrieved 25 May 2007. ↑ "Keane cancel N. American tour". KeaneMusic.com. 9 August 2006. Archived from the original on 7 October 2007. Retrieved 8 September 2006. ↑ "Keane Interview". STV . Archived from the original (Video) on 16 March 2007. Retrieved 14 March 2007. ↑ "QTheMusic.com, Best Albums of 2008, number 1". Promo.q4music.com. Retrieved 4 July 2011. ↑ "QTheMusic.com, Best Tracks of 2008". Promo.q4music.com. Retrieved 4 July 2011. ↑ "KWN". Zaphod.uk.vvhp.net. 10 May 2010. Retrieved 4 July 2011. ↑ "Jesse Joins Keane". KeaneMusic.com. Archived from the original on 13 July 2011. Retrieved 27 September 2014. ↑ "KEANE | Archive | Keane News, Blogs, Photos, Behind the scenes video, User comments and Tour announcements | Bexhill-on-Sea show on 9th March". Keanemusic.com. 21 January 2012. Retrieved 14 December 2012. ↑ "KEANE | Archive | Keane News, Blogs, Photos, Behind the scenes video, User comments and Tour announcements | Hoodlums to support in Bexhill". Keanemusic.com. 17 January 2012. Retrieved 29 March 2012. ↑ "Keane hit the road in 'Silenced By The Night' music video". Digital Spy. 4 April 2012. Retrieved 9 April 2012. ↑ "Video: 'Silenced By The Night' on 'Kimmel'". Rolling Stone . 13 March 2012. Retrieved 13 March 2012. ↑ "Future Releases on Triple A (AAA) Radio Stations, Independent Artist Song Releases |". Allaccess.com. Retrieved 14 December 2012. ↑ "Silenced By the – Single by Keane – Preorder Silenced By the – Single on iTunes". iTunes Store. 13 April 2012. Retrieved 13 April 2012. ↑ "Keane Announce Their New Single 'Silenced by the Night' Out On 30Th April 2012". Contactmusic.com. Retrieved 28 March 2012. ↑ "KEANE – Diskografie – Disconnected – Single, Track – CDs, Discography" (in German). Universal Music. Retrieved 9 April 2012. ↑ "KEANE | Archive | Keane News, Blogs, Photos, Behind the scenes video, User comments and Tour announcements | The Best of Keane - out November 11th!". Keanemusic.com. 16 August 2013. Archived from the original on 20 August 2013. Retrieved 10 May 2014. ↑ "KEANE | Archive | Keane News, Blogs, Photos, Behind the scenes video, User comments and Tour announcements | Won't Be Broken to be next single". Keanemusic.com. 13 December 2013. Archived from the original on 19 December 2013. Retrieved 10 May 2014. ↑ "Keane to split up after 16 years - Music News". Digital Spy. 20 October 2013. Retrieved 10 May 2014. ↑ "I'm delighted to announce my album…". Tomchaplinmusic.com. 11 August 2016. Retrieved 18 January 2017. ↑ "Tom announces new Christmas album! - Tom Chaplin". Tomchaplinmusic.com. 13 October 2017. Retrieved 22 December 2017. ↑ Baines, Huw. "Mt. Desolation Announce New Album, Line Up June UK Tour - Stereoboard". Stereoboard.com. Retrieved 5 October 2018. ↑ "Battle Festival". Facebook.com. Retrieved 5 October 2018. ↑ "Keane - New Keane song for A Monster Calls film". Keanemusic.com. Archived from the original on 5 March 2017. Retrieved 18 January 2017. ↑ "Keane will play live gig for first time in 5 years". Rye and Battle Observer. 4 June 2018. Archived from the original on 12 June 2018. ↑ "Keane". Facebook.com. Retrieved 26 March 2019. ↑ "Gwen Stefani eyes up Keane". Archived from the original on 11 October 2007. Retrieved 28 June 2007. ↑ McCormick, Neil (25 June 2010). "Kylie Minogue: Aphrodite, CD review". The Daily Telegraph. London. 1 2 "FAQ – Who writes the songs?". Keaneshaped.com. Retrieved 4 August 2006. ↑ "Keane, Hearts of Darkness". Q magazine . July 2006. p. 94. 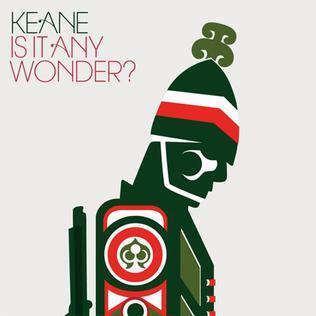 ↑ "Keaneshaped – FAQ – What are the songs about?" . Retrieved 5 October 2006. ↑ "with or without you-keane". YouTube. Retrieved 4 July 2011. ↑ "keane dinner at eight". YouTube. 16 July 2007. Retrieved 4 July 2011. ↑ "Keane – Enjoy The Silence ( Depeche mode cover )". YouTube. Retrieved 4 July 2011. ↑ "FAQ – Frequently Asked Questions". Keaneshaped.co.uk. Retrieved 4 July 2011. Craic, Seamus (2006). Keane: The Band. Artnik. ISBN 1-903906-64-4. "Keane – Spiralling (Island)". Dailymusicguide.com. 11 October 2008. Archived from the original on 2 October 2011. "Keane explain their new sound". NME . 28 March 2006. Retrieved 17 July 2006. Chapman, Tegan (13 January 2005). "Keane man on success, songs and Steve Lamacq". Great Reporter. Archived from the original on 3 September 2005. Retrieved 11 August 2006. "The Darkness V Keane – It's War!". NME . 28 March 2006. Retrieved 12 August 2010. "Keane: Hearts of Darkness". Q . July 2006. "Keane pre-gig Press Conference (13/02/2009)". Dailymusicguide.com. 13 February 2009. Archived from the original on 7 March 2009. "Keane Live at the O2 Review (13/02/2009)". Dailymusicguide.com. 13 February 2009. Archived from the original on 7 March 2009. Heawood, Sophie (27 March 2009). "Keane are cool at last: touring Brazil with the boys". The Times . London. Wikimedia Commons has media related to Keane . "Call Me What You Like"